Common opinion seems to be positive about the presence of colorful interventions in public space. Whereas graffiti has a bad image, murals are mostly considered pieces of art by the public. Colored walls in public spaces are used as marketing tools, but also as policy tools, improving the public image of entire neighborhoods. All over the world, these relatively cheap and fast color injections have proven to have a positive effect on their surroundings. The work of the Chilean artist Jorge Selaron in Rio de Janeiro is a worldwide known example of how urban acupuncture produces a ‘Bilbao effect’. The entrance steps to the poor neighborhoods Santa Teresa and the Lapa, which carry the name of the artist, became not just a touristic landmark, but also one of the settings for the video of Snoop Dogg and Pharell’s song Beautiful. Aiming for art to provide something positive to the local communities, other artists among the globe have turned their practice towards public walls, such as the Atlanta-based artist Alex ‘Hense’ Brewer, who painted the facade of an abandoned church in a palette of many different colors. Currently, most of the artist commissioned to beautify facades have a background as graffiti artist. But what’s their message if they’re rather seen as urban beautifiers instead of activists? “My work is based on the dynamics between me and the specific site. As a result I present the viewer an alternative experience of the environment, which has been optically manipulated by form, colors and perspectives. I believe that street art can provide a positive impact to a social fabric and transform communities,” says Dutch graffiti artist Mr. June when referring to his work for Urban Nation. 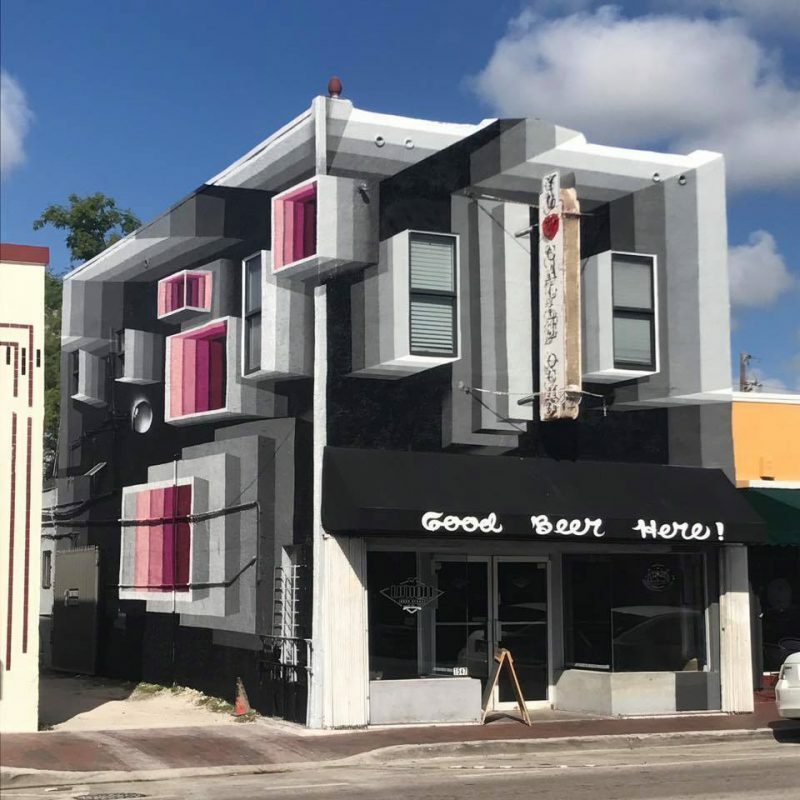 His facade paintings almost become architectural practice. Maybe you’re wondering, what about those public space interventions which have been done without consent? Should they stay or should they go? 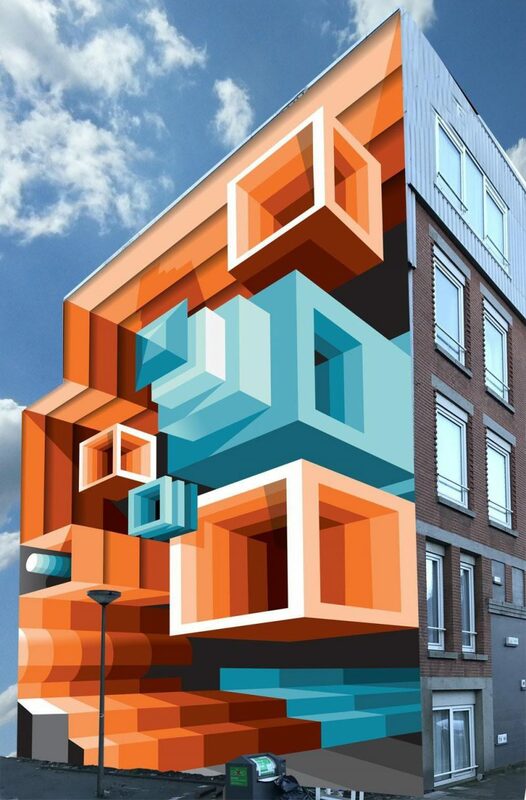 In Amsterdam, where alternative and normality mingle, the government recently appointed an official Curator of City Art, whose role is to evaluate the quality of public artworks and decide if they can stay — and officially approved as “art” — or have to be removed. 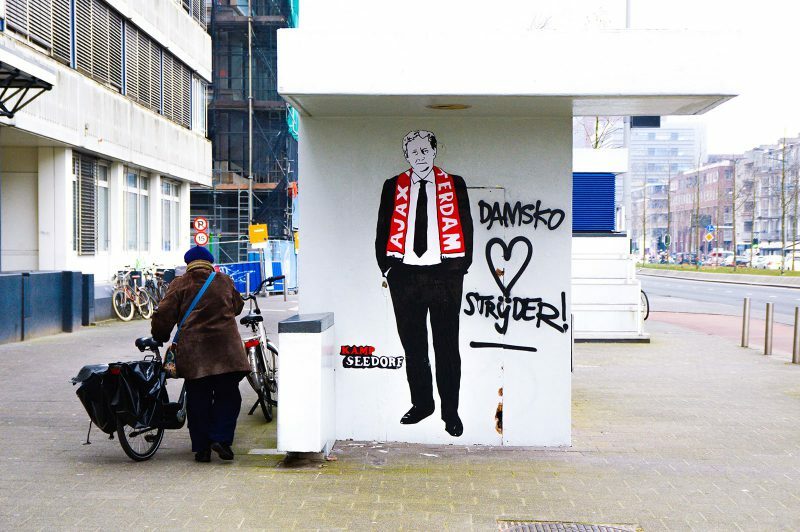 The idea for a street art curator came to life after public discontent following the removal of a tribute artwork for Amsterdam’s Mayor Eberhard van der Laan, who was diagnosed with cancer. 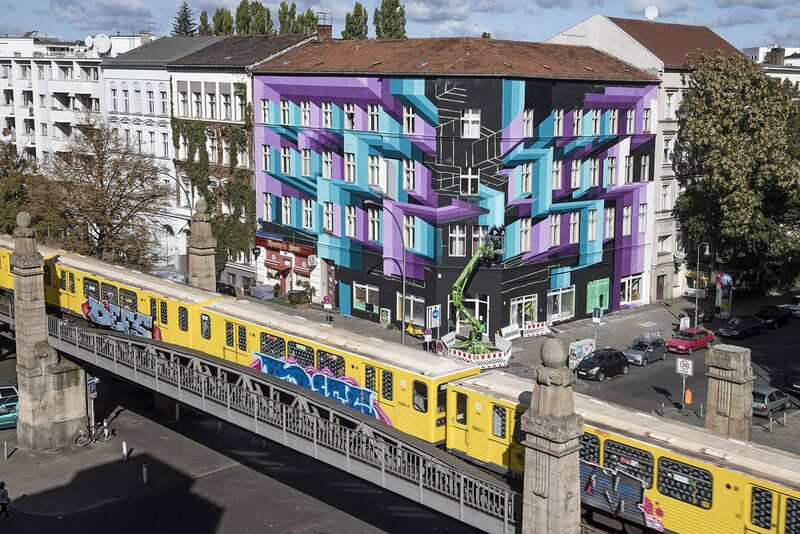 Whether to bring life to abandoned buildings, to play with architecture or to change the image of neighborhoods, it seems like colorizing public surfaces is here to stay, still how lasting will interventions be is still something to see. Italian street artist Biancoshock transforms abandoned manholes in Milan into secret miniature dwellings. Back in 2012 we wrote about an urban game STREETPONG played while waiting at the traffic light. We are happy to hear and spread the word that the project got the green light and that the game is now installed at one of the intersections in Hildesheim, Germany.